As Chair, drawing on his extensive experience of business and education, Dr Taggart not only leads the Board, but contributes from his experience in higher education, economics and finance. Jim is a Chairman, non-executive, audit committee member, Adjunct Professor and director with over 25 years of board level experience across the public (local and state), private (finance planning, investment, development) and not for profit (church, community and fundraising) sectors. 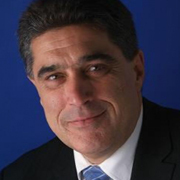 At board level his experience includes being a Member of the Investment and Finance Board for the Parramatta Diocese, Chairman of the Salvation Army Advisory Board (Business Appeal), Audit Committee Member, Hills Shire Council and Parramatta Stadium as well as key roles with BREED and EagleRaps. He is Chairman of Mentor Education, which specialises in vocational education and training in financial services. Jim is Deputy Chairman of Regional Development Australia (a Federal and NSW State appointment), which is focused on developing people and physical capacity across Australia and NSW. He sits on the Board of Western Sydney Institute of TAFE, and was previously its Chairman for three years. In an executive capacity, Dr Taggart established and built a very successful business in the financial services industry sector, which he sold in 2013. Jim has also held executive roles with Western Sydney Academy of Sport and Landscape NSW & ACT. In all cases he has provided strategic leadership, business advice and sponsorship strategies. He is an Adjunct Professor at the University of Notre Dame and Western Sydney University. He received the Medal of the Order of Australia (OAM) and also won the Association of Financial Advisers, Financial Advisor of the Year Award in 2005 and the Hills Shire Citizen in 2008 for community work. Jim has written several high school texts and sits on the editorial board of the American Journal of Personal Finance. With undergraduate training in Arts, Jim holds postgraduate degrees in Financial Planning and Education. His doctorate focuses on small business networks. He is presently reading for a Master of Applied Finance at Charles Sturt University.